Located about 150 kilometers north of Tokyo. Nikko has the third-largest municipal area of any city in Japan. It has long been a bustling tourist spot, primarily because of its shrines and temples, which have been registered as an World Heritage site. As many as 10 million people visit Nikko each area. 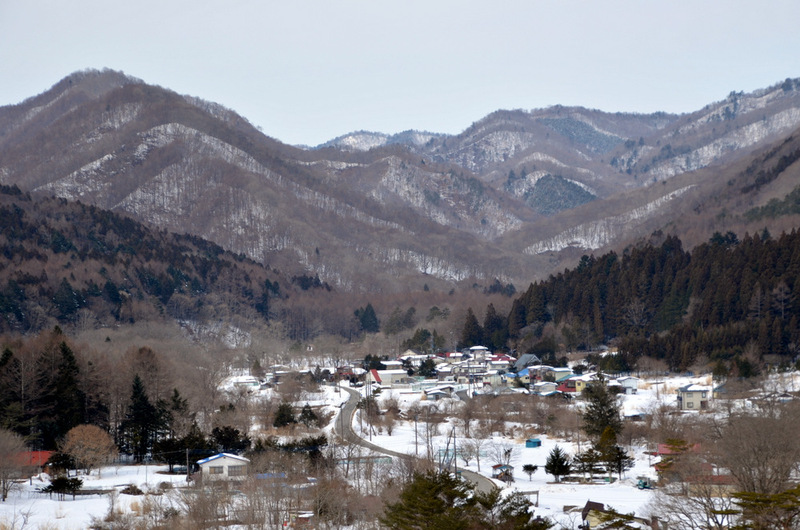 Another 50kilometers or so north of Nikko’s World Heritage Site is a tiny hamlet called Dorobu. Dorobu used to be a lumber town, making charcoal and the wooden trays used at Nikko’s temples and shrines. The locals also trapped a wild bird called the dusky thrush and sold it for cash. 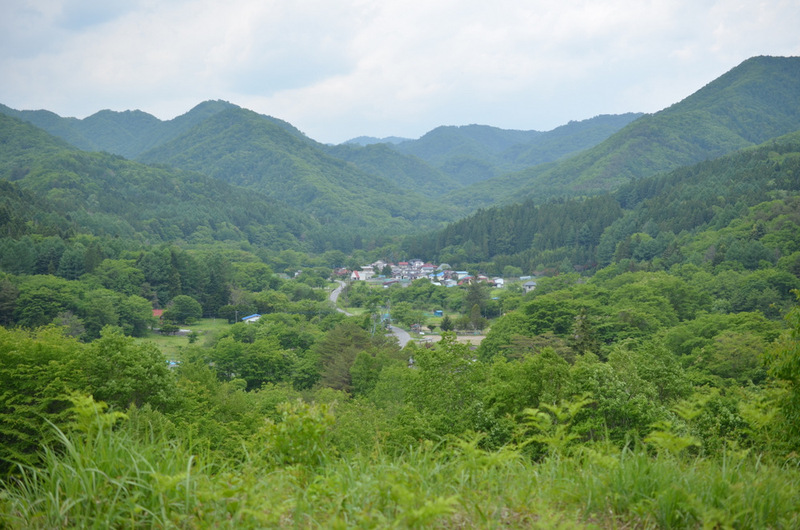 In short, it was a typical Japanese rural mountain village. The settlement itself was surrounded by farmland, each thatch-roofed house with its own horse to help with farming and transporting materials. 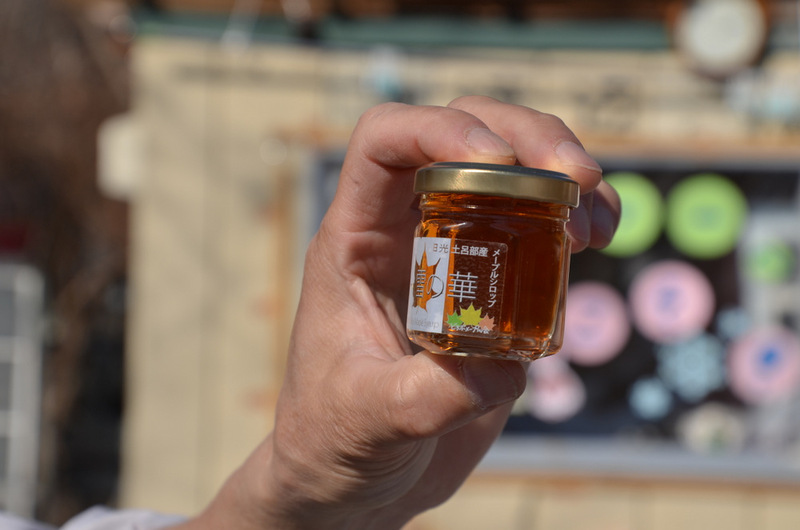 About fifty years ago, the village prospered with the introduction of Wagyu cattle raising and daikon radish cultivation, but today, most of its young people have moved away to the city. (Nowadays it’s hard to find the job in this area.) -leaving an elderly population with few children to replace them. Today, there are only about twenty homes left. It’s what is known as a Genkai-Shuraku, or “marginal village” on the brink of extinction. The Dorobu district is home to beautiful grassy plains which stretch out across six hectares. 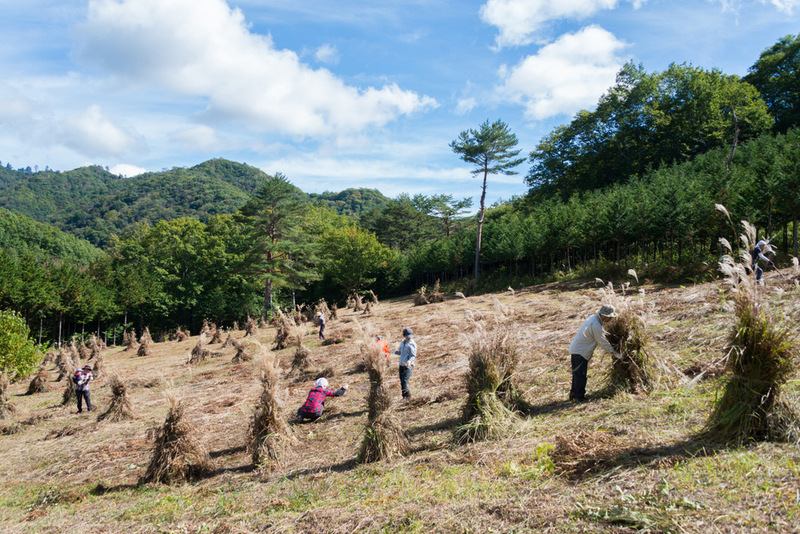 In the fall, the residents create neat rows of Kaya-bocchi in the plain. 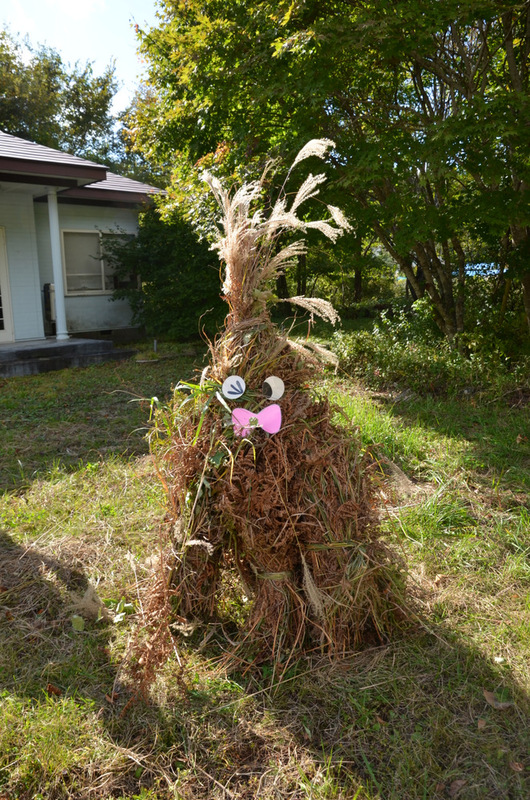 Kaya-bocchi are made of clumps of Japanese pampas and other grasses that grow on the plain. The residents cut, bundle, and stack them in conical shapes to use as feed and bedding for cattle in the winter season. The sight of the Kaya-bocchi in fall has been selected as one of the Hundred Rural Views of Tochigi Prefecture. The gifts that the plains provide are essential to the daily lives of villagers. They serve as a place to collect edible wild plants, material for thatched-roof houses, thermal insulation for homes, feed for horses and cattle, and fertilizer for the fields. For generations, the people here have continued to live year after making integrated use of the plains, fuelwood forests, fields, and rice paddies without ever depleting nature’s bounty. grasslands like there are known as semi-natural grassland. This means that they have been manipulated and maintained by human beings over a long period of time (through grazing, controlled burning, mowing, and so on), for the purpose of providing the community with daily necessities like cattle and horse feed or material for hatched roofs. In a wet country like Japan, grasslands will develop into forests if they are left untended- but because these have been maintained as grasslands for so long, they have become home to all kinds of grassland species, including those that are rare or facing extinction. They are also home to butterflies and other grassland animal species that feed there, making them a preserved natural environment full of diversity. 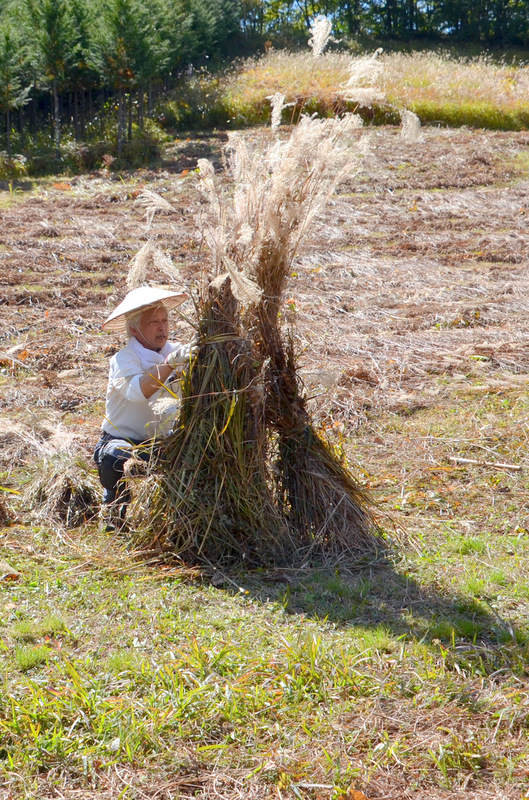 The Kaya-bocchi made to dry the cut grass have also given rise to a distinctive and beautiful rural landscape. 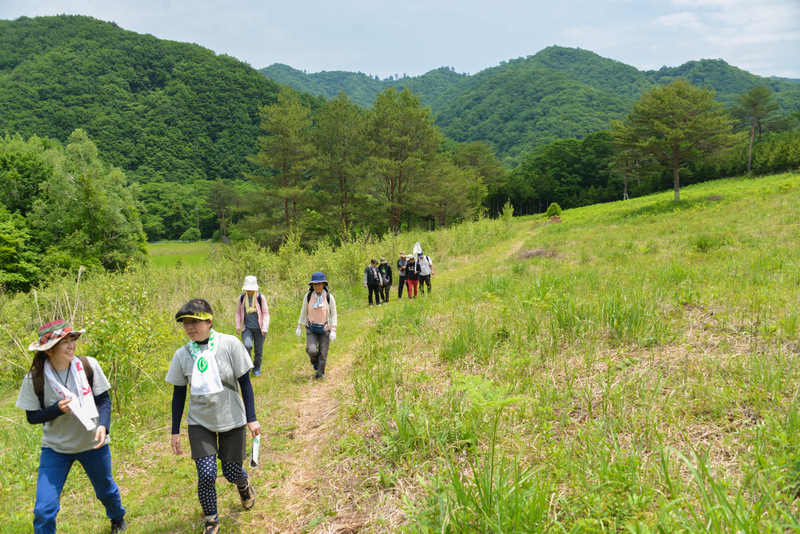 These grasslands covered vast tracts of the country when the Meiji period began in the late 1800s, making up more than 13 % of Japan’s total land area. Today, however, they are thought to have been reduced to just 1%. Even the grasslands in Dorobu, which covered 100 hectares seventy years ago, were down to 20 hectares 40years ago and today total less than one. Grasslands use began to rapidly decline all over the country after the mid-1950s, when Japan began undergoing rapid economic development. Thatch roofs were replaced with corrugated galvanized steel, horses with cars and tractors, manure with chemical fertilizers. The young people started leaving for the city, and as the population in the mountain villages aged, there were fewer people who could work. In the process, the grasslands gradually faded from people’s live, either replaced by planted forests or gradually returning to a forested state from disuse. 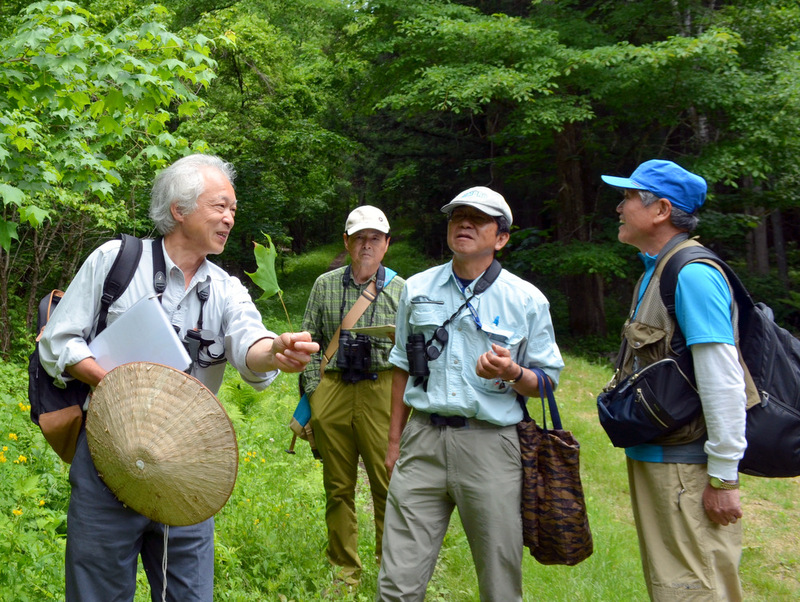 The grassland that remain in Dorobu have escaped that fate, and though they are a mere six hectares in size, they are still one of the largest examples of grasslands long tended by human beings in the Kanto region. Still, even these beautiful fields cannot resist the flow of time, and are on the verge of disappearing due to afforestation as well. 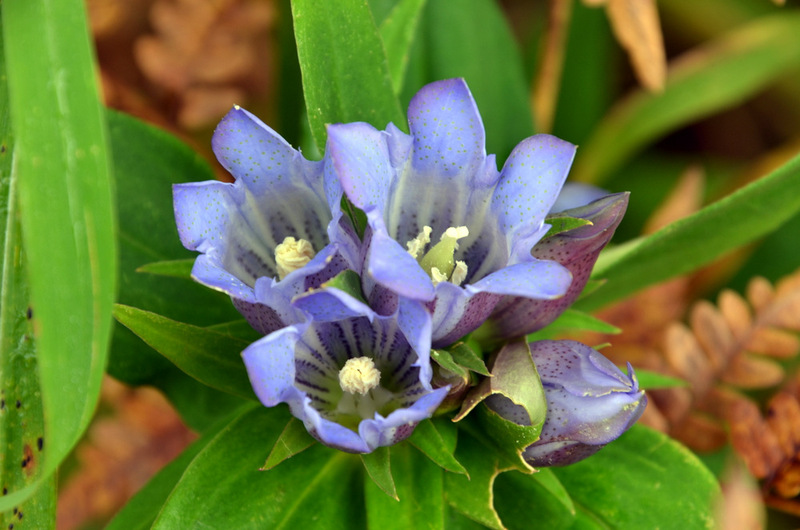 If the grasslands are allowed to grow without cutting, they will gradually be replaced by forests, and many of the rare grassland plant species will die out. Nor will anyone ever be able to appreciate the beautiful autumn sight of the Kaya-bocchi in the fields again. 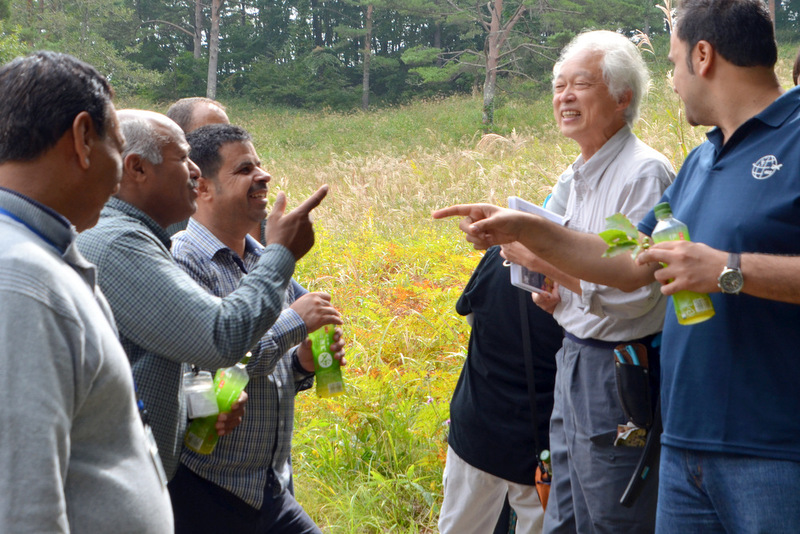 If we want to protect the grasslands of Dorobu from this fate and preserve them for future generations, we must get a full and accurate understanding of their current state and work with local residents to come up with ways of conserving them that are as scientific and practical as possible. We then need to put these strategies into action. 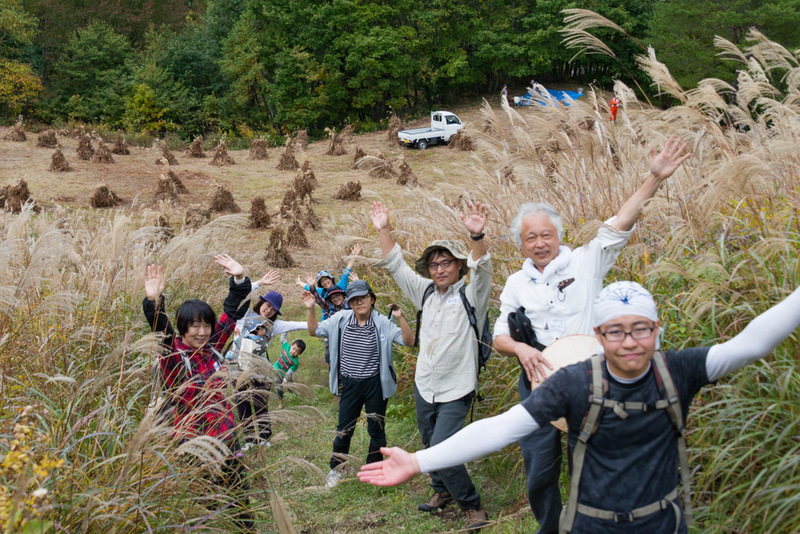 There are things we must to in order to revitalize this rich natural environment and preserve the scenic countryside. 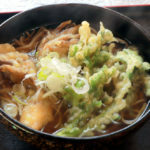 To start, we need to pass down the cutting techniques that the people of Dorobu have been practicing since ancient times, restore rare plant species, and have as many people as possible witness the beautiful flowers that grow wild in the grasslands with each season as well as the charming sight of autumn Kaya-bocchi. 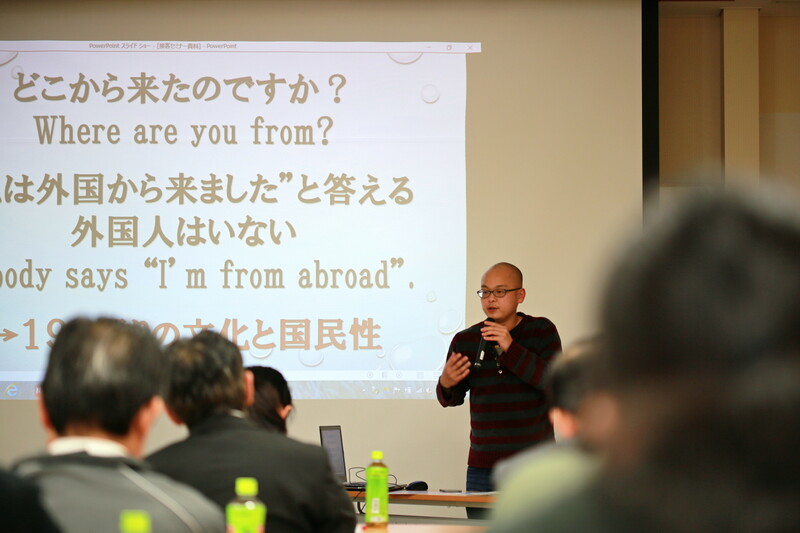 The Nikko Kaya-bocchi Council was established in 2013 as an organization to promote these activities. 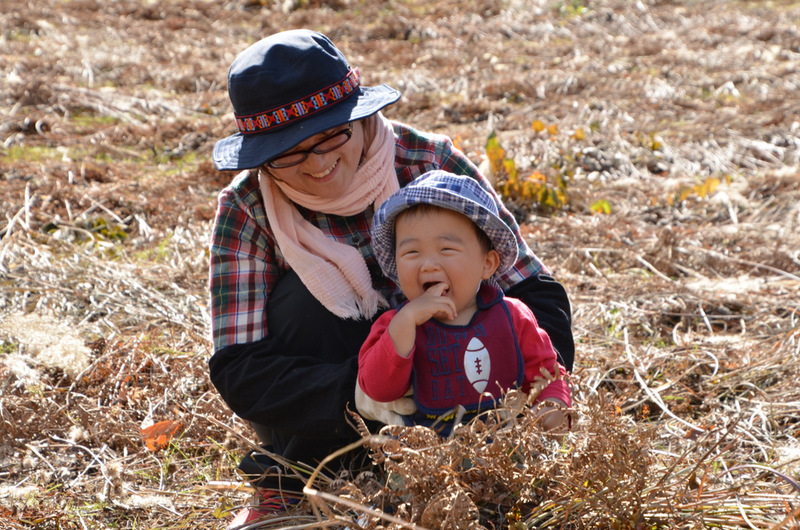 As we carry them out, the Dorobu grasslands will develop into a fresh, attractive resources for Nikko, giving rise to new interactions between local residents and the people who come to visit them. 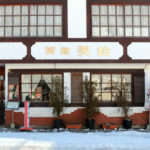 We hope that this will in turn help revitalize and promote the Dorobu district in particular as well as Kuriyama area as a whole. To achieve the above goals, the Nikko Kaya- bocchi Council continues to engage in the following activities. a. Because increases in the number of deer and other wild animals will cause the flowering grasses to get eaten, set up an electric fence around a five- hectare conservation area to protect it from feeding damage. Cut the grasses once every ten days between June and September to prevent electrical leaks. b. Log and carry out trees in areas that have been left untended and are turning into forests. c. To prevent further afforestation, cut back the entire grassland area every two years. d. Work with the local cattle ranchers’ association to ensure that the Kaya-bocchi are created regularly. a. Set up tourist pathways and regularly cut the grass for the purpose of opening up large grassland areas to be used as natural observation fields in the future. b. 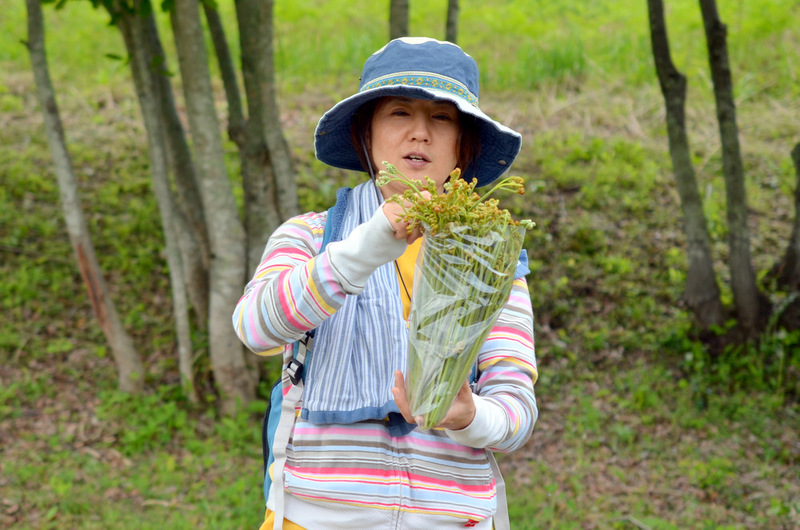 Make events out of activities that help conserve grasslands, such as making Kaya-bocchi and collecting eagle fern(warabi). 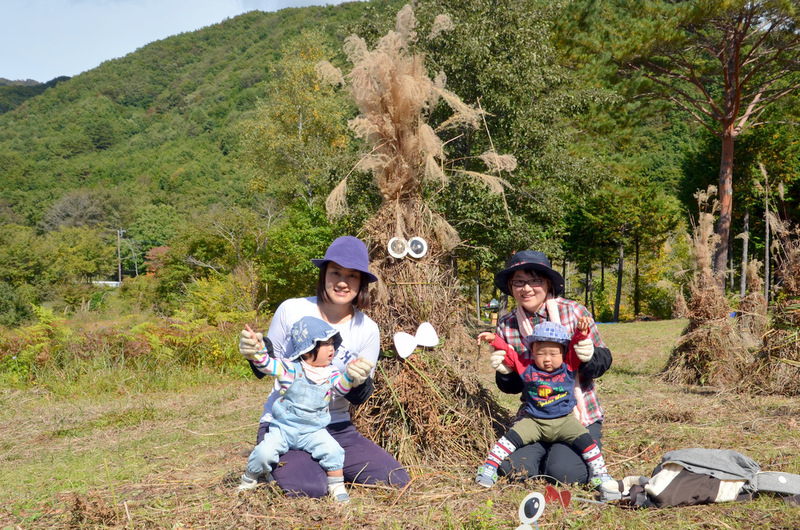 Use these events to promote the charms to the grasslands to city dwellers as well as communicate the fun of volunteer activities. 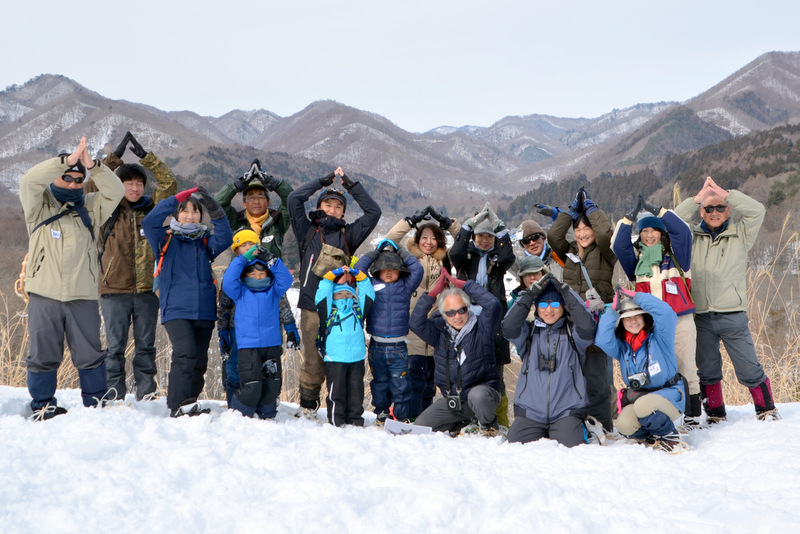 c. Hold Kaya-bocchi making events or grassland observation tours for local elementary school children. 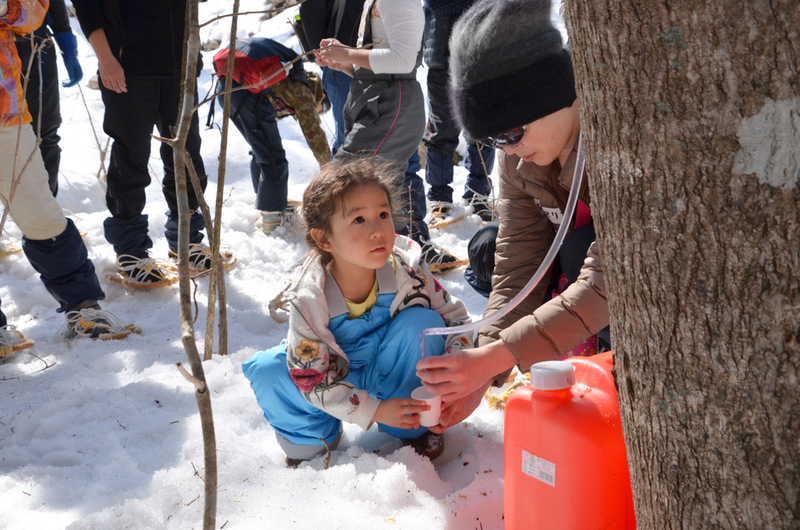 d. Work with local residents to make maple syrup from the maple trees that grow wild in the Satoyama areas around the grasslands, and begin selling the syrup in 2017.
e. Create maple syrup collection events for city dwellers during the snow-covered months to show case the charms of Dorobu in the little-traveled winter season. b. Setting up a grass-cutting controlled study area to see how plants grow and develop with different cutting periods, cutting methods, and so on. 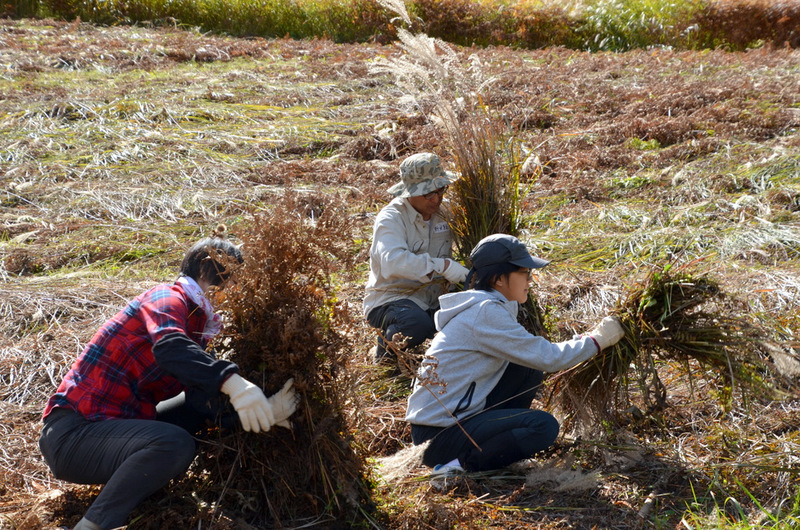 Dorobu is the only place preserving Semi-natural grassland in Tochigi. 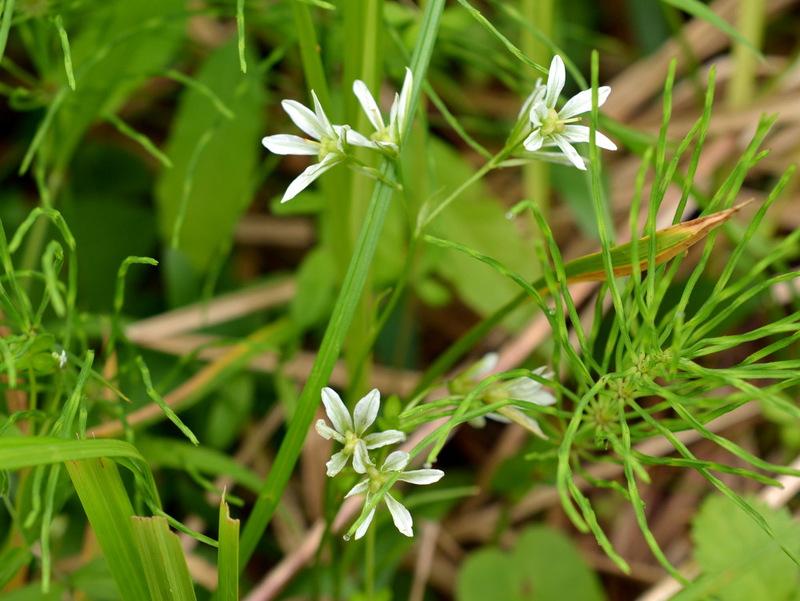 There are several plants which can be seen only here in Tochigi. Rare plants exterminate and Kaya-bocchi can’t be made if everyone does nothing. A representative of this council, Mr. Iimura, worked at Nikko City Hall, but he took early retirement because of this activity. Everyone was impressed with his determination.